Lo’ there do we see the darkness that surrounds us and we know that we are the virtuous. Though Dragon and lesser species alike may succumb to the depredations of this monster Scourge, the Imperium and its ideals live on in its faithful servants, for that is what all member of the Imperium are, servants from King to the lowest hatchling we all serve the greater good. But know now that even the most noble soul can be corrupted, we look to our fallen brethren who have retreated from their tribes to become little more than Rogues, independent beasts devoid of all loyalty despite any of their previous positions and appointments within the Imperium. We must heed well, brothers and sisters, the lesson inherent in the fall of the Imperium's capital. Darkness lurks within every soul, brothers and sisters, this is a fact that we of the Nightwing’s embrace for we are one with the shadows. It is not in our moral purity that we find our path to normalcy within our lifetime again, no, it is in our defiance of such moral turpitude that we are saved through our united faith in a greater good. The Gods has gave us the tools we need to resist the basic pitfalls that have lead so many to ineptitude and ignorance. 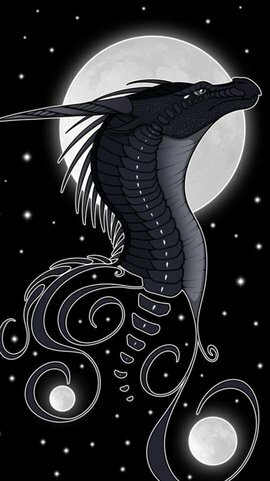 We look to the virtues passed down within all societies of Dragon kind, Prudence, courage, temperance and justice. Prudence so that we as kin have the ability to discern the appropriate course of action to be taken in a given situation at the appropriate time. We remain courageous in the ability to confront fear, uncertainty, and intimidation. Temperance in all things so that we may control our emotions and use such energy to be devoted to a higher calling. Finally Justice so that all the wrongs of our time can be removed as we move towards a new era of prosperity and glory. Have faith, for we strive ever onwards to the greater good of our kin, we will guide one another for we must understand that there will be many sacrifices upon the road ahead. Heed well the exaltations of those who have faced adversity before and lead their kin in the most depraved of time, for it is they who represent the heralds of the Tribes, for we bring the word of hope. Know that my own every effort is bent to bring our kin into the embrace of the peace we seek, by spreading the word of something greater so that as a species we may be enlightened and lead our world into a triumph it has never known, through such teaching we can illuminate all others beyond the mundane ambitions and desires of oneself. Through our ministrations of faith in such a cause does our mandate find purpose as we champion all which is right and good. Through our will the foul aberrations plaguing our world will be kept at bay as we work as one. From what remains, sites such as Shadow’s Refuge, we will spread our serenity and significance, and is so doing we will represent a promise of an Imperium reborn and reclaimed, ever to be exalted. Illustrious are those who sacrifice and champion the will of the greater good for the betterment of all. I believe loss is the most insidious of emotions. We feel it deeply, we yearn to have it undone and no matter what we wish, it cannot be. This is a common thought about our lands, may the Gods protect what remains and its people. Can we undo what the horrors of these monsters have brought down upon it? The land itself seethes with their corruption, into the very dirt that we once hunted our prey. Dragonkind now scattered, broken and utterly devastated. In all directions, our loss is felt by every living creature. There is a lingering doubt. Can we hold out against this terrible force? Can we recover, and Gods willing, succeed in driving these monsters out of our homelands? We have a simple answer. Yes. Dragonkind is the very face of determination. Indeed, with our unwavering will and the vengeance in our hearts, we can drive these monsters back, we will place their malformed twisted bodies to the grave and redeem the lost souls of those Dragons what have abandoned their tribes to become Rogue. This is a fact, and throughout our history, we have proven this time and time again. In times when everything seemed dire, when all was to fall, we have endured. For the Nightwing’s we know when we were faced with savage tyrants and arrogant fools, we endured. The Earthwings from invasion recovering from being utterly destroyed after it would seem all had been erased from existence yet together, with the aid of the Firewings and Nightwings they were persevered. We retreated, regrouped and yet together, we overcome, we will drive the foulness from our lands and be triumphed just as we have in the past, all can be reclaimed and all can be rebuilt with new drive and purpose. Despair grips many of our kin now, but we must never succumb to its power. With the determination of our brothers and sisters who stand by our side, we will endure. We will rise, and we will conquer, much as we have in our history. Victory will come, our lands shall be ours once more and we will return the normalcy for future generations, the same normalcy what was ours before this terrible, terrible plague of monsters. We fight on, brothers and sisters, for the greater good, for all Dragonkind and for our wonderful, beautiful land. Without the faith in understanding what needs to be done and sacrificed for our higher calling, the will to act is devoid of any true meaning. Arbitrary and directionless, the soul without the need and understanding of our greater good treads the path of chaos, negation, and death. Take heart Dragons of the Imperium, and look to the night sky, for the illuminations of the cosmos will guide us and like the moon and stars we will reforge ourselves into a stronger greater species which will remain for eternity. Archon of the Nightwing Potentate. Father of the Moon and Stars.